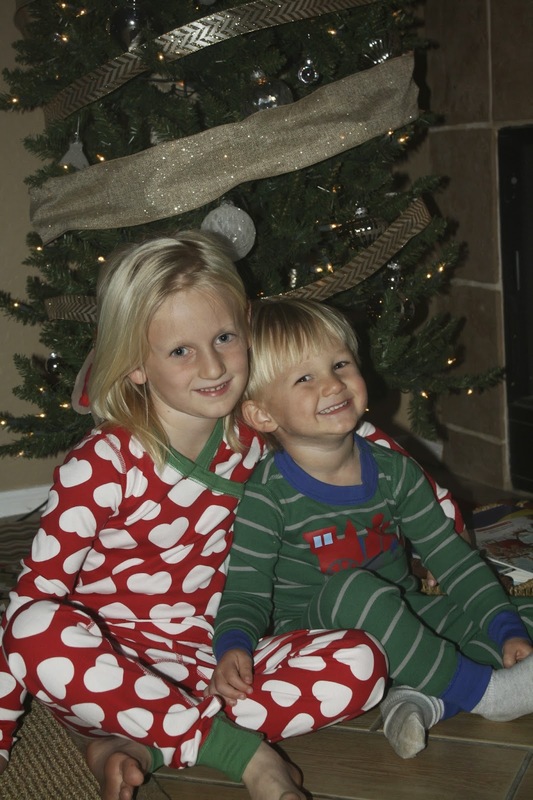 ~Christmas jammies and then off to check out the neighborhood lights! 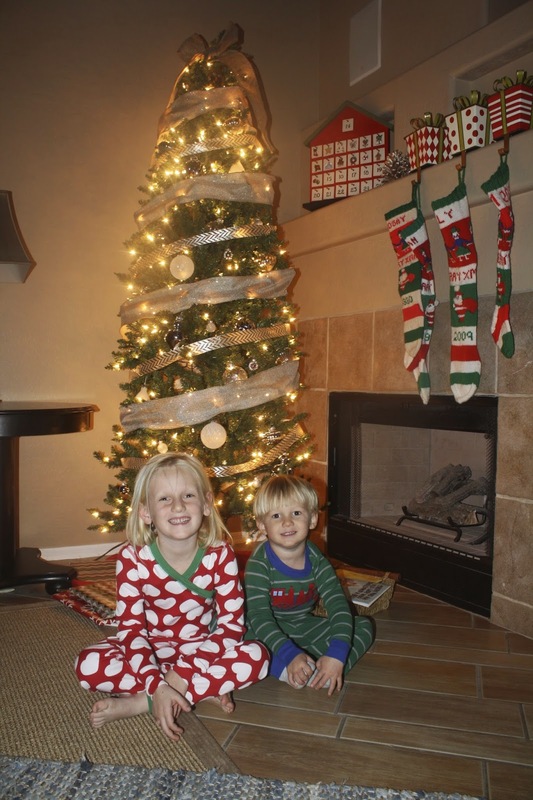 And as always, each night in December, Lily and William unwrapped one Christmas book to be read before bed. 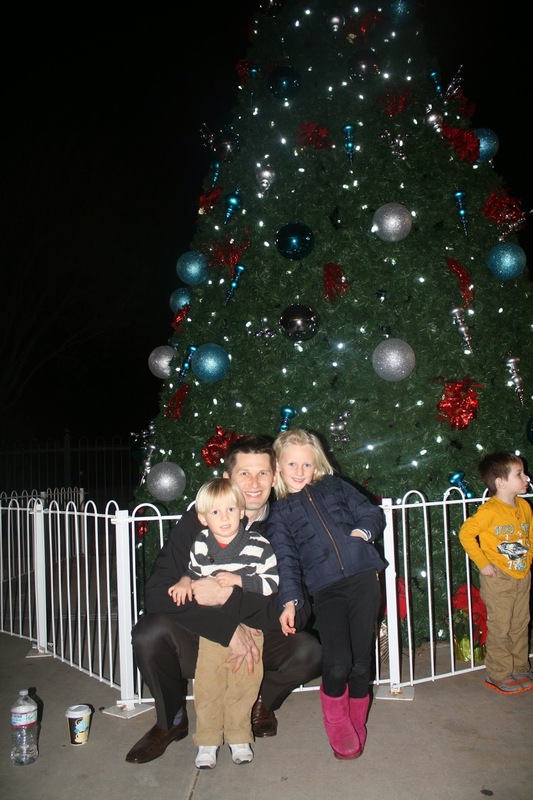 ~We spent an evening at our favorite park…McCormick Stillman Train Park. The railway is completely blinged out in holiday lights, fake snow, huge blow-up characters, and lots of Christmas music. 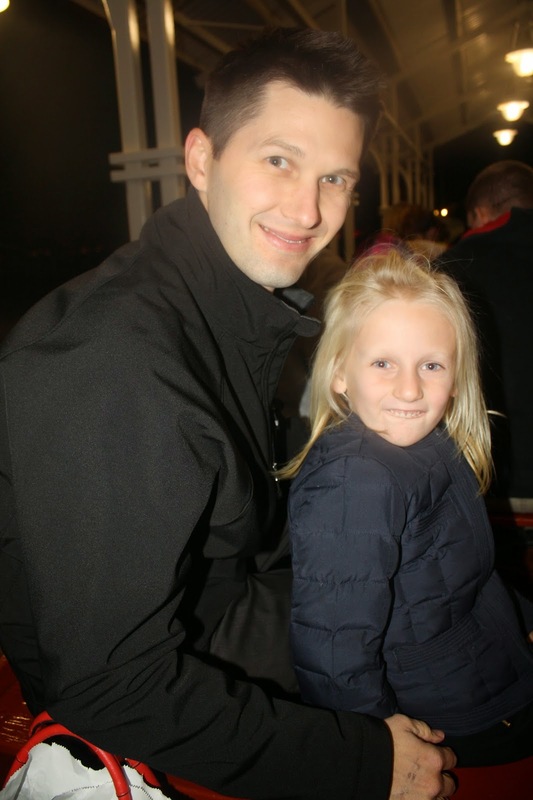 We arrived an hour early so I could get in line while Ryan and the kids ate dinner, rode the carousel, and scoped out the hot chocolate line. However, William was so concerned that he would miss his train ride, he wouldn't stay away from me too long. Luckily the train ride did not disappoint! 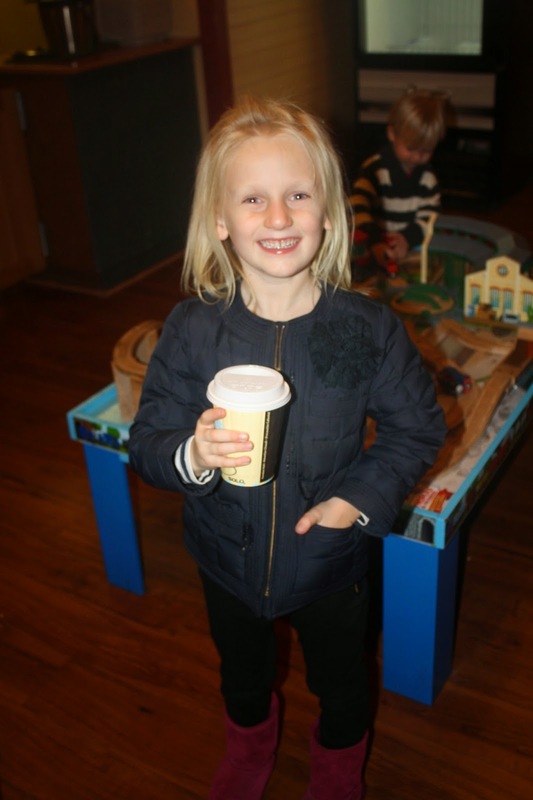 ~After our ride, Lily sipped a hot chocolate while William played with the Thomas the Train table. He could have stayed here for hours! 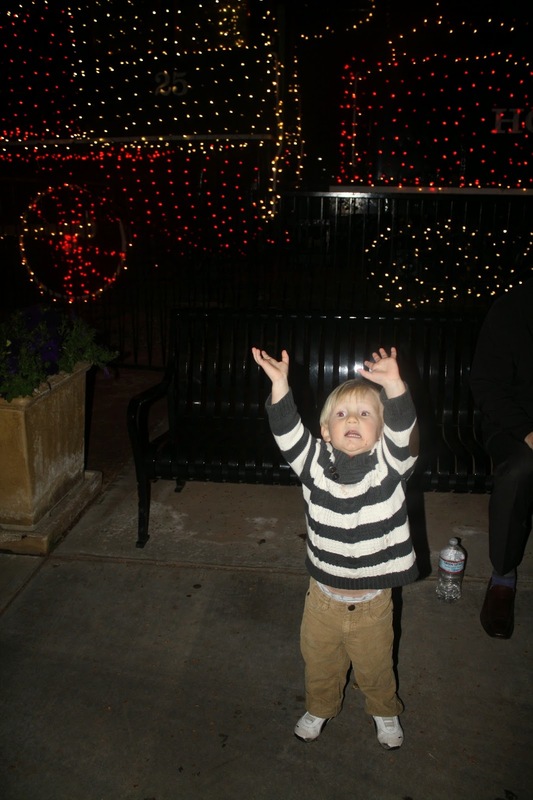 We were then off to walk around and explore Christmas lights up close and personal. A great 'new' tradition this year…we'll definitely be back!